The opening ceremony of the Real Madrid Foundation Clinic Program was held at the stadium "Bunyodkor". The opening ceremony of the Real Madrid Foundation Clinic Program was held at the stadium "Bunyodkor". 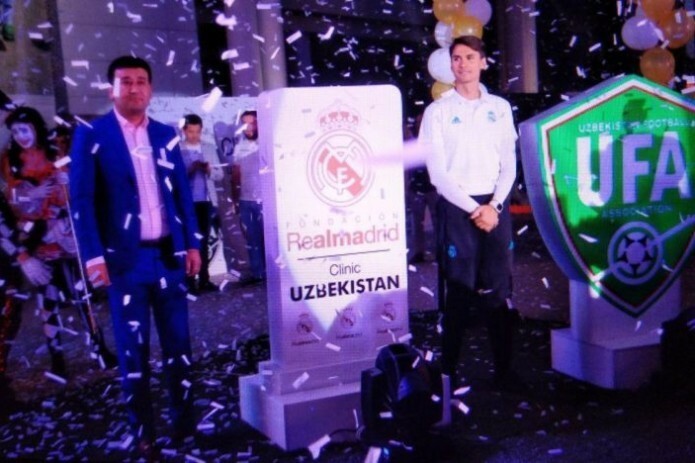 The event saw the President of the National Olympic Committee and the first Vice-President of the Uzbekistan Football Association Umid Akhmadjonov, coaches of the club Real Madrid and specialists. Spanish experts expressed confidence that in cooperation with the UFA this project will benefit the Uzbek football, and the representatives of Spain are ready to assist in this direction. The opening ceremony became a real football holiday for children. The coaches of the Royal club will hold practical events in Uzbekistan until June 16. In the framework of the visit of experts it is planned to hold various master-classes, test matches and the Summer cup tournament.